Cincinnati Public Radio has offered the city $1.5-million for this parking lot at Ninth and Plum Streets. Council’s Budget & Finance Committee had been asked to approve selling the city-owned parking lot on the northwest corner of Ninth and Plum Streets, immediately north of City Hall, to Milhaus Properties LLC. Milhaus wanted to construct a five-story building with 120 apartments, retail space and two levels of parking. 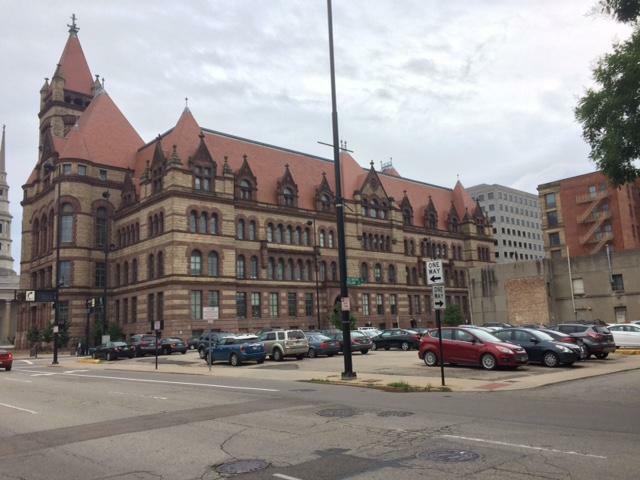 The proposal failed by an 8-1 vote, opening the way for public radio stations WVXU-FM and WGUC-FM to talk to city planners about their $1.5-million offer to purchase the approximately three-quarters of an acre lot. Artist rendering of emersionDESIGN building for Cincinnati Public Radio at Ninth and Plum Streets downtown. The stations need a new home because their lease expires next year at the Crosley Telecommunications Center owned by WCET-TV at Central Parkway and Ezzard Charles Drive, across from City Hall, said Richard Eiswerth, Cincinnati Public Radio president, CEO and general manager. The WCET-TV building “is likely to be demolished in the next several years” by the city, he said, to provide parking for Music Hall, nearby apartments and FC Cincinnati’s new West End soccer stadium. He learned of the building's fate last year when the city tore down the pedestrian bridge over Central Parkway connecting Music Hall with the city-owned Town Center Garage next to WCET-TV. Phil Denning, interim city community and economic development director, said the city started negotiations with Milhaus six months ago after several proposals for the site fell through. Under the Milhaus deal, the city would have sold the land for essentially $250,000 after the city spent $1.25-million of the $1.5-million purchase price for streetscape and other amenities. 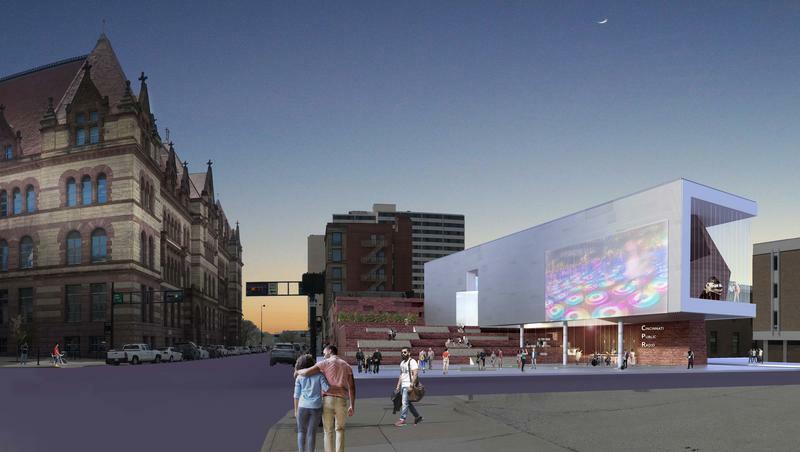 Cincinnati Public Radio has offered to pay $1.5-million cash for the site to construct a new headquarters; studios for radio broadcasting, live music events and debates; a public plaza; and one story of covered parking. When committee chairman David Mann asked if the two potential usages could be merged, Denning said the city’s attempts to marry the developments failed in the spring. The radio stations’ plan to host music events and other programs in the evening and on weekends was not compatible with a residential building, Eiswerth said. And adding the radio operation would increase the cost 35-40 percent, a Milhaus representative told council. Councilman P.G. Sittenfeld said Cincinnati Public Radio would fit perfectly on the “city campus” along Plum Street by City Hall, St. Peter in Chains Cathedral, the Plum Street Temple and Lloyd Library. Chris Seelbach, Budget & Finance Committee vice chair, did not comment before casting the lone dissenting vote. Mann said he wanted “some binding assurances” from Cincinnati Public Radio about the structure on the site. After the meeting, Denning said the next step will be conversations with Cincinnati Public Radio about the financing, site plan and other details. “We have a purchase offer. That’s all we have to go by right now,” Denning said. Council must approve an ordinance to sell the land to Cincinnati Public Radio before construction can begin. Editor’s note: John Kiesewetter’s reporting is independent and has not been edited by Cincinnati Public Radio.